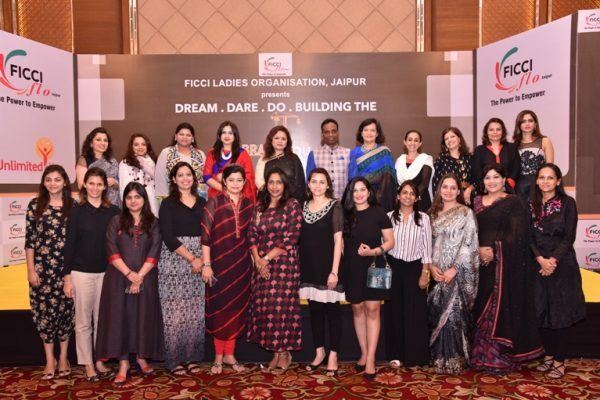 FICCI Ladies Organisation, Jaipur Chapter under the leadership of their Chairperson – Ms. Minal Jain, organised an eye opening session on ‘DREAM.DARE.DO – BUILING THE BRAND YOU’ with one of the country’s best Leadership coaches, Mr Anand Pillai and Personal branding strategist, Ms. Tanvi Bhatt. Mr Anand Pillai enlightened the audience on building an intrapreneural culture in organizations. Intrapreneurs are dreamers who Dream, Dare and Do. They take hands-on responsibility for creating innovation of any kind within a business and for turning an idea into a profitable finished product through assertive risk-taking. His focus was on ensuring that the audience lift their performance, skills and behaviours by applying world’s best management practices like “Design Thinking” and “Boundary Management”. He also emphasized on the need for building one’s personal brand. 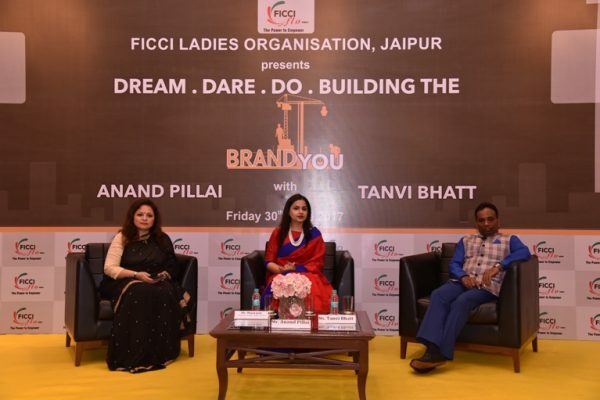 Ms Tanvi Bhatt, “The Personal Branding Expert”, in her talk inspired the members of the organisation to “Dream Beyond Boardrooms”. 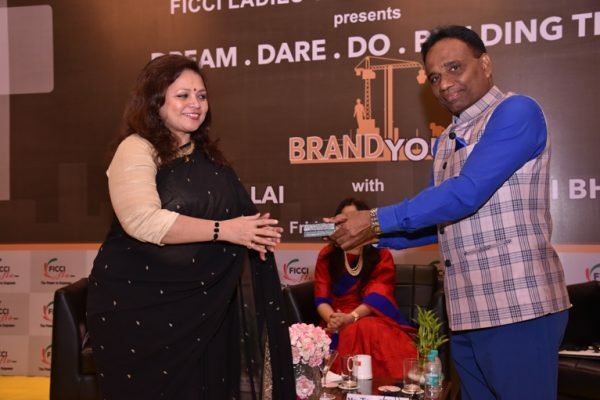 Known for being a thought Leader in the foray of Personal Branding in India, Tanvi personified the power of passion in building legacies – that is the soul of a dreamer and a doer. She showed the path of how leaders should become Thought Leaders and Thought Leaders should become icons. Ms Minal Jain also requested each member to nominate 3 underprivileged women to be skilled in tailoring, beauty, and driving by the organization. This is their initiative towards Women Empowerment.